Our names are Brian and Lisa Ashbaugh and we would highly recommend Jim Williams & Associates for any child custody issue. Mr. Williams assisted us in obtaining custody of our grandson. He is very methodical, candid and competent in every aspect regarding child custody. Mr. Williams is devoted to all of his clients and personally returns all e-mails or phone calls, as soon as possible. He will never make you feel stupid just because you may not understand something nor will he ignore your questions or concerns. He treats every client with kindness and respect. In 2012, we took our sixteen year old granddaughter into our home to live, because she was afraid to live at home due to certain events that had occurred. The child’s mother filed a petition in juvenile court alleging that the child was “unruly and unmanageable” and asking the court to make the child go back to the mother’s home. We had only a few days before court, so my granddaughter and I met with Jim Williams to obtain legal assistance. Jim prepared the necessary paperwork to present to the judge when we went to court and the judge ruled in our favor that our granddaughter should stay with us. Jim worked into the late night hours to help us prepare for court. Without his prompt and professional assistance, I believe this case would not have turned out in our favor. I have known Jim Williams for 25 years. He is a professional in every aspect of his business and personal life. Jim’s integrity, honesty and intelligence makes him a unique person who I expect to use to manage all future legal matters. I strongly recommend him to anyone needing a person who will provide you with legal expertise second to none. Jim represented me before the Social Security administrative law judge and I was absolutely blown away with his professionalism and ability to present my case before the judge. Within two weeks, I received a notice from the judge in full favor of my claim. Jim is currently representing me in two other matters and with God’s assistance I have no doubt there will be a positive outcome as well. I can fully recommend Jim Williams for any legal matter you may have. Thank you Jim, you mean a lot to me and my two sons. 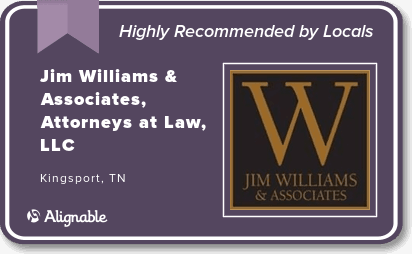 Jim Williams is a very professional Attorney who cares about his clients! Jim has represented me before and I highly recommend him in any court of law. Jim is a man of God and he will stand by your side in all honesty. He is sincerely an honorable person. Thank you Jim for being there when I needed professional representation. I highly recommend this firm. Sometimes in life you have to go through things you would rather not have to go through. I went to Jim and his firm scared and uncertain of what I would face. The staff were professional, caring, competent, and Jim is a true gentleman. He was thorough with my case. I have sent several people to him and they were not disappointed. Guess it is safe to say I’m a client for life. THANKS!!! This law office gave me my life back in 2012 and I thank God for sending Jim my way. This man is an ethical lawyer and does what he says. He fights for his clients like there is no tomorrow, and his staff is compassionate and excellent. Jim does not give up on his clients. I thank Jim for all that he has done. Jim is a very good man and lawyer, and I am proud to have met him. Jim handled my father’s estate for us and did a great job. I have known him for many years and I highly recommend his firm. He is an honest person and a great guy. Jim Williams is a miracle worker! I appreciate all the hard work he has done for my son. I would recommend him in any situation. Best people I have ever met and talked with and got advice from. Highly recommend to anyone. Love Beth she is so sweet and helped me tremendously. This is the nicest law firm that I have ever had any dealings with. I would highly recommend them to anyone looking for a great attorney. Jim and his firm are responsive and easy to reach. I have known Jim for years - he is a good guy. Mr. Williams is very knowledgeable with the laws in Virginia & Tennessee. His legal fees are more than reasonable. He personally gets back with his clients. He works very hard for his clients and he looks out for their best interest. Jim has a great law firm! I would definitely recommend Mr. Williams after having the privilege of working with him in the juvenile courts. Very ethical and professional. An excellent attorney. I've known Jim and his fine family for many years and cherish their friendship. When needing an attorney at law, he should be your choice. I have known Jim for years as well as others who have known and worked with him. He is very good to work with and I recommend him without hesitation. Jim is as honest and forthright as anyone I know. I highly recommend him. Jim is a wonderful attorney who has represented some of my family members. I have known him for years and highly recommend him. Jim is a very talented and experienced attorney that works hard for his clients. Jim is a personal friend and is a man of great character. He is an intelligent and hard worker. I recommend him for any of your legal needs.